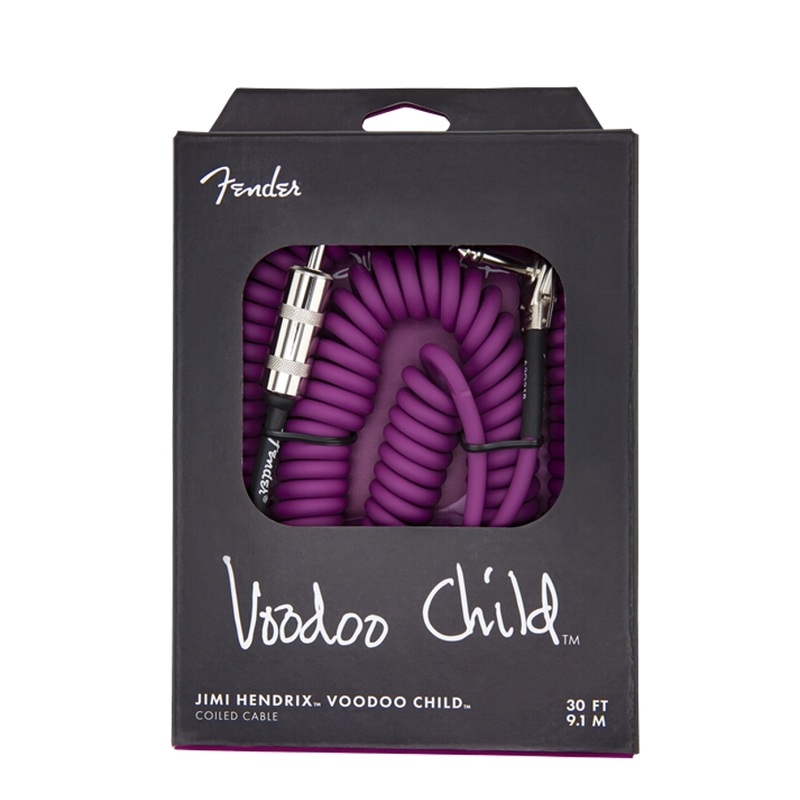 Fender Jimi Hendrix “Voodoo Child” Guitar Cable in Purple. 9.1m (30′) length suitable for electric guitar or bass. Jimi Hendrix set the music world on fire with his rule-breaking playing style and one-of-a-kind tone. Celebrate his on-stage magic by plugging in his iconic coiled cable, featuring Fender® reliability and vintage-style construction.